Below is a selected bibliography of the research outputs from members of the Translational Research in Creative Practice team. Collins, S. and Perry, S. (2015). 'The Beauty of Bravery': Alternative modernisms, de-historicizing Grainger. In Grainger the Modernist (pp.17-32) Farnham, Surrey, Uk: Ashgate Publishing. Davidson, J.W. and Broughton, M.C. (2015). Bodily mediated coordination, collaboration, and communication in music performance. In S. Hallam, I. Cross, and M. Thaut (Eds. ), The Oxford Handbook of Music Psychology 2nd ed. Oxford, UK: Oxford University Press. Bailes, Freya, Dean, Rogert T, and Broughton, Mary C. (2015) How different are our perceptions of equal-tempered and microtonal intervals? A behavioural and EEG Survey. PLoS One, 10 8. Barrett, Margaret S. (2016) Attending to “culture in the small”: a narrative analysis of the role of play, thought, and music in young children’s world-making. Research Studies in Music Education, 38 1: 41-54. Barrett, Margaret S. and Bond, Nigel (2015) Connecting through music: The contribution of a music programme to fostering positive youth development. Research Studies in Music Education, 37 1: 37-54. Broughton, Mary C., Schubert, Emery, Harvey, Dominic G., and Sevens, Catherine J. (2017) Continuouts self-report engagement responses to the live performance of an atonal, post-serialist solo marimba work. Psychology of Music. Brown, Andrew R. Gifford, Toby, and Davidson, Robert (2015) Techniques for generative melodies inspired by music cognition. Computer Music Journal, 39 1: 11-26. Collins, Denis (2016) Discomfit them, O Lord, that trust in their own multitude: a new editorial approach to the Tallis-Byrd Cantiones sacrae. Musicology Australia, 38 2: 172-181. Davidson, Robert and Lupton, Mandy (2016) 'It makes you think anything is possible': representing diversity in music theory pedagogy. British Journal of Music Education, 33 2: 175-189. Klein, Eve (2016) Feigning humanity: virtual instruments, simulation and performativity. IASPM@Journal, 6 2: 22-48. Love, Karlin G. and Barrett, Margaret S. (2016) A case study of teaching and learning strategies in an orchestral composition masterclass. Psychology of Music, 44 4: 830-846. Mills, Carmen, and Ballantyne, Julie (2016) Social justice and teacher education: A systematic review of empirical work in the field. Journal of Teacher Education, 67 4: 263-276. Osbourne, Margaret, S. McPherson, Gary E., Faulkner, Robert, Davidson, Jane W. and Barrett, Margaret S. (2015) Exploring the academic and psychosocial impact of El Sistema-inspired music programs within two low socio-economic schools. Music Education Research, 18 2: 156-175. Randles, Clint and Ballantyne, Julie (2016) Measuring self-perceptions of creative identity: a cross-cultural comparison of the creative identities of pre-service music teachers in the US and Australia. Music Education Research, 1-11. Rickert, Dale L.L., Barrett, Margaret S., and Ackermann, Bronwen J. (2015) Are music students fit to play? A case study of health awareness and injury attitudes amongst tertiary student cellists. International Journal f Music Education, 33 4: 426-441. Viney, Liam and Blom, Diana (2015) Preparing stylistically challenging contemporary classical repertoire for performance: interpreting Kumari. International Journal of Music Education, 33 1: 66-79. Williams, Kate E., Barrett, Margaret S., Welch, Graham F., Abad, Vicky, and Broughton, Mary (2015) Associations between early shared music activities in the home and later child outcomes: Findings from the Longitundinal Study of Australian Children. Early Childhood Research Quarterly, 31 2:113-124. This recording explores the unique creative world of two pianists collaborating at one piano. The music performed is all by Australian composers, and was written in recent decades. Music for one piano four-hands, as distinct from pianists performing on two pianos, goes back to the early years of the instrument itself; Mozart, Schubert, Schumann, Brahms, Fauré, Debussy and Ravel all wrote significant original music for what the scholar Edward Cone has called ‘four-handed monsters’, a term that evokes both the genre’s runaway historical popularity and its striking visual impression. 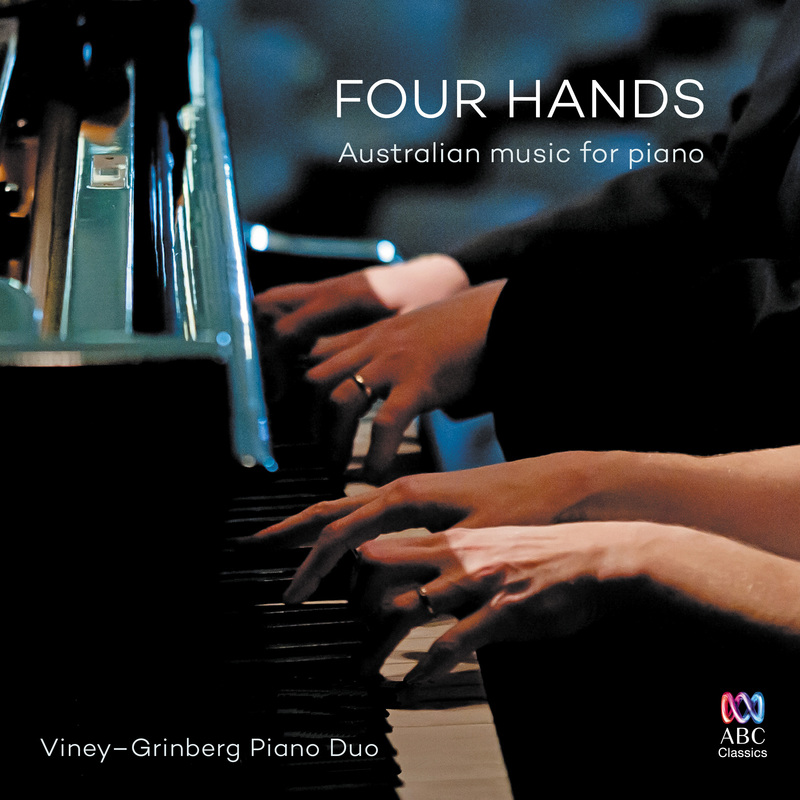 The five Australian compositions on this disc grow and build on that tradition, with ambitious largescale works of complexity and virtuosity, as well as miniatures that deal with the interior world of the human heart and mind. Despite the diversity of music on this disc – a fascinating variety of responses to the musical opportunities afforded by piano four-hand performance – there is also a unifying thread of dynamism and spirited energy. 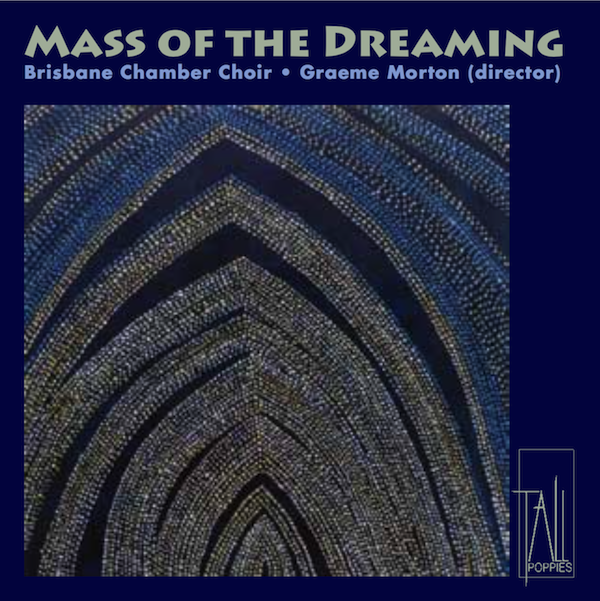 This recording represents the first time an Australian choir has recorded an album of Australian sacred choral music. Much of the music was commissioned by the choir, including Ross Edwards' Mass of the Dreaming, a substantial Australian choral work. All the works on this recording have not been recorded previoulsy. Robert Davidson is a prolific composer, bassist, lecturer and founder and artistic director of Topology, the ensemble-in-residence at the Brisbane Powerhouse and a Key Organisation funded by the Australia Council. Davidson's Not Now, Not Ever is a setting of excerpts of Julia Gillard's famous "Misogyny" speech which alleged many instances of misogyny in the Australian Parliament. The recorded speech is heard with choral accompaniment, in which the choir doubles and harmonises with the Prime Minister's speech using a very tonal and melodic style. words, in the intonation of the voice, and in the dynamics of what was being said in interjections and reactions. The resulting choral piece, in which the singers echo and support the Prime Minister's speech melodies, is initially quite humorous, as we are confronted with the melody that perhaps was not evident to us before. As the music goes on, it passes into something more serious, and (it is hoped) we hear the Prime Minister as a woman experiencing very real emotions". White Halo Ensemble is a high-profile chamber ensemble, celebrating the importance of chamber music to arts, culture and music education. Under the guise of a traditional piano quartet, the group seeks to break barriers and explore new terrain within the art of chamber music. As part of this exploration, White Halo Ensemle commissioned Australian composer Matthew Hindson to arrange the third movement of his Piano Trio (2006) for a piano quartet. The resulting work, Epic Diva (2014), was premiered in a live radio broadcast on ABC Classic FM's Sunday Live segment.